The Polaroid Instant Digital Camera is very plain design-wise and the prints aren't anything to write home about. I tried this and the mobile printer and while this had the added feature of a built in camera I just can't see myself carrying it around. On one hand it't somewhat unique and very handy at times. Don't forget the Fun Factor either. On the other hand someone like me prefers high quality prints if I'm going to go through the trouble to get them. 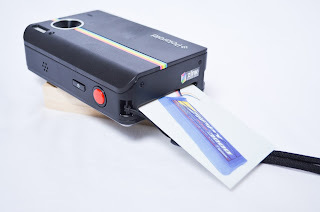 You'd probably get this for the printer and the camera just means you don't have to carry two things around. Read on to decide for yourself. Build- For a camera these days, this thing is enormous. True, you are fitting both a camera and a printer in your pocket but it's still too big for me to quite call revolutionary yet. A Mini Cooper is all the car you need in a small form but no one calls them portable. You get a beast of a box that isn't the most wonderful to look at. It's a camera so you of course need to be careful around the lens and screen but the body is pretty sturdy. The power and shutter release are on top with the other menu buttons on the back. Don't forget the landscape/macro switch on the left side. The paper is inserted by moving a switch on the screen which then opens up. Function- The camera you get here is a little basic. Fine manual control is extremely limited. You don't even have press-to-focus. The best there is is a switch to indicate if you're taking a picture of something up close or far away. If the image looks blurry, flip the switch. You do have an nice feature tacked on in that you can also take videos here. Keep them short unless you have a separate memory card, the internal memory only holds 15 pictures so that's a few seconds of video. Once you have an image you like just flip the selector slider to the image viewer and go to the image you want. Printing is simple from here as you only need to press the big green button int eh bottom left and ok after selecting the number of copies you want. Here's where you're needs will really come into play. 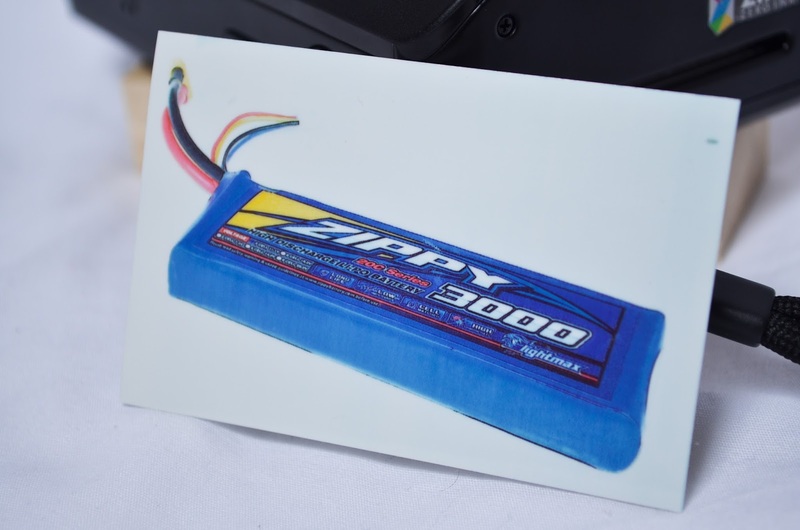 Every time I printed a picture I was a little disappointed. I like high quality pictures and you just don't get that here. Everything's a little grainy and you are only getting a 2x3 picture. A larger view of the RC battery I took a picture f will show some vertical lines in the image. If you change your expectations though you'll end up with a fun way to share pictures with anyone around you. I found that for best results you want to brighten your pictures a little as they tend to print a little darker than you expect. The 30 second time-to-print seems like forever until you realize you're getting instant hard copies of what you just captured. This camera shouldn't be a replacement for your point and shoot, it should be a supplement to have when just going out with friends or family. 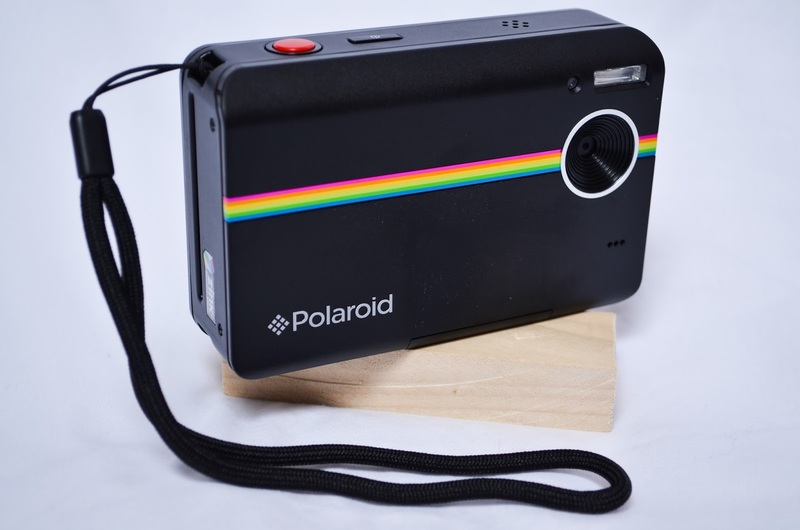 Kids will love being able to get a picture immediately and be able to stick it anywhere. This means it's great for scrap-booking or even name tags at an event. 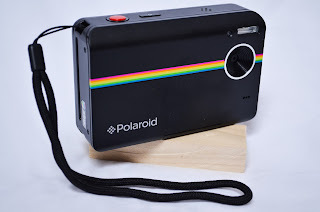 I realize the original polaroid instant cameras weren't meant to be the most feature filled and this is just a modern interpretation of that convenience. If you just want the Fun-Factor, this camera would work for you. 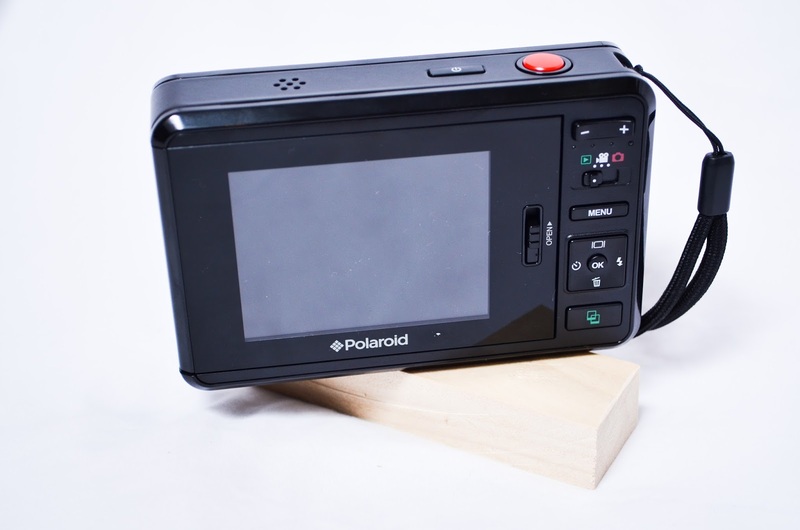 If you're going to have your smartphone with you, get the standalone polaroid printer instead. I received this product free in exchange for nothing more than my honest opinion.